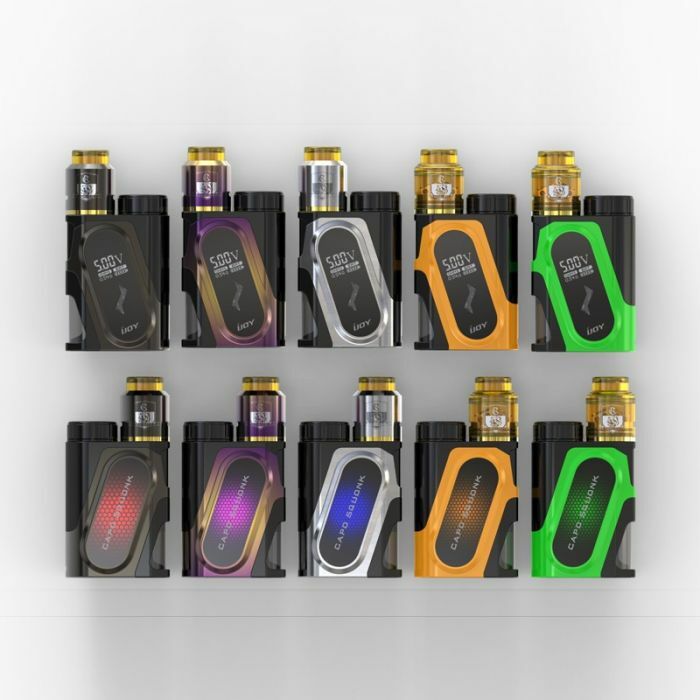 IJOY CAPO SQUONKER is the first regulated squonker which compatible with 21700/20700/18650 battery. Featuring tiny and ergonomic size, it is capable of running up to 100W with fantastic battery life. A big front OLED screen displays essential information to the user. Implementing personalized design of adjustment buttons and big fire button,it adds more convenience during use and handling. Presenting hale and fashionable exterior design, IJOY CAPO SQUONK is colorful and highlights the personality. The food-grade soft and hard silicone squonk bottle holds a generous 9 ML of liquid which allows for suitable squeezing and easy maintenance . The top battery slot with top loaded battery cap ensures the safety and ease of battery replacement. IJOY CAPO SQUONK is a practical kit that excels in good flavor. Urvapin Black Friday Sale Online! Urvapin Black Friday Sale! November 21st to 27th! The Cheapest Prices Ever!